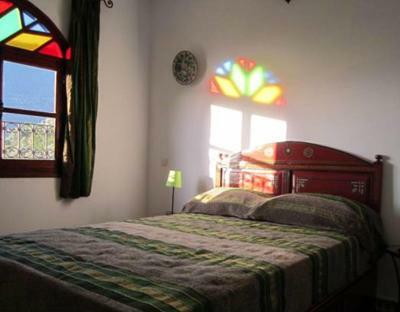 Lock in a great price for Auberge Casa Linda – rated 8.5 by recent guests! 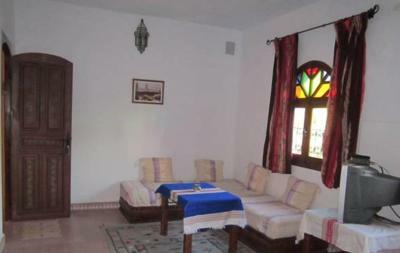 The view of medina is really nice and the garden and surroundings are well presented. Staff was very nice and breakfast good. Nice place to stay and enjoy your vacation. Especially there breakfast it was very good. Great staff, peaceful retreat, food and drinks on site at fair prices. We really enjoyed this place and would visit again. The staff were kind and genuine. The food we got (chicken tajine) was tasty. 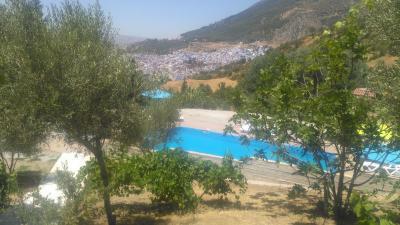 The amazing, panoramic view and the garden were lovely. The staff was really friendly with us. 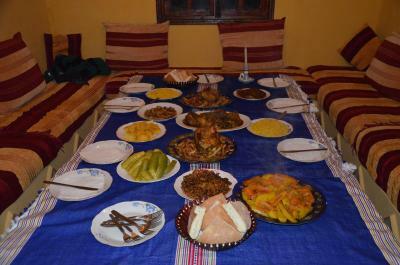 For dinner they preapered us delicious food (tagine). 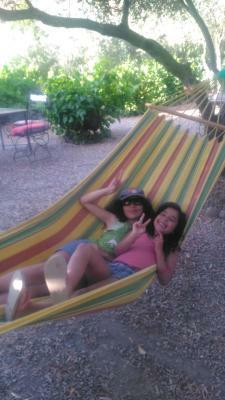 We had a wonderful experience at Casa Linda. 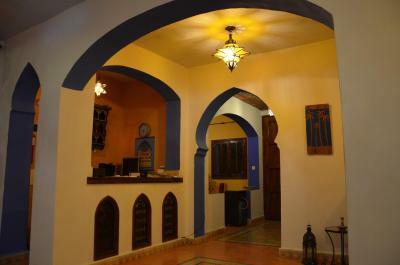 The staff was warm and accommodating, especially considering that we were traveling with an infant. We ate at the auberge every night and enjoyed the meals, however the breakfast could have offered a bit more. 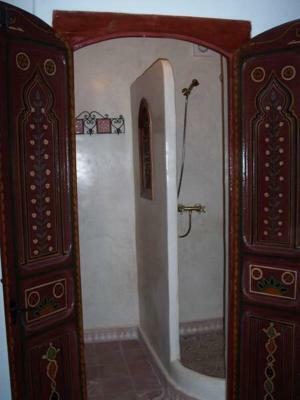 The bed was super comfortable, and the shower was hot, with excellent water pressure. 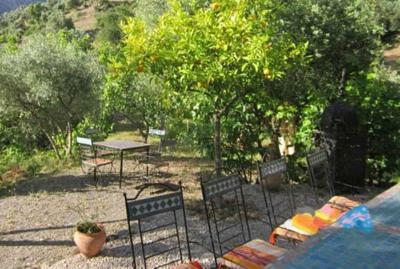 A great deal on a quiet, beautiful place to stay! The view was absolutely incredible and relaxing. It's away from the city, so it's much quieter. The room was small, cozy, and clean. There was wifi that was stronger the closer down you went to the first floor. Absolutly amazing, like in a fairytale :). We like everything. We stayed in a big appartment with two rooms, each own bathroom. 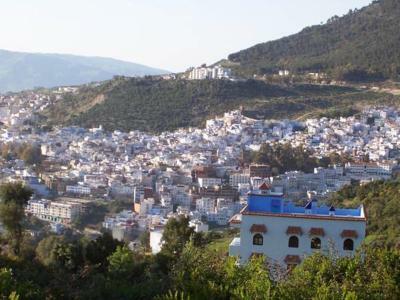 Beautifull view to the blue city. 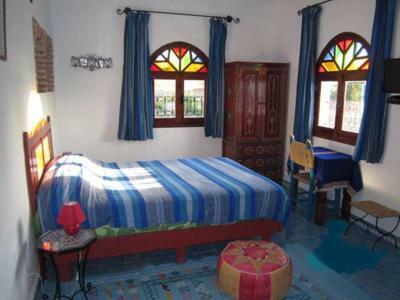 It is not direct in the Chefchaoune- but the view on the city is stumming, we have a car, so it was OK for us. Is little bit hard to find, but beautifull. We came in the dark, but the owner wait for us. Breakfast was perfect. 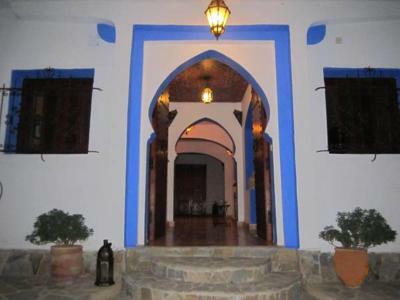 Offering a restaurant, Auberge Casa Linda is located in Chefchaouene. Free WiFi access is available. 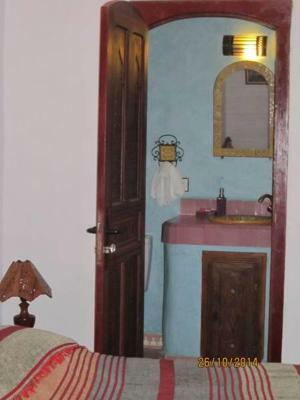 Private bathroom also comes with a bath or shower and free toiletries. You can enjoy mountain view from the room. Extras include bed linen. 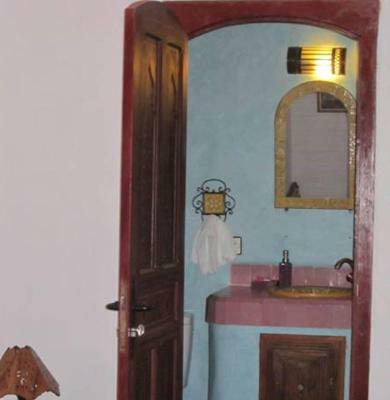 At Auberge Casa Linda you will find a 24-hour front desk, a garden and barbecue facilities. Other facilities offered at the property include a shared lounge, a tour desk and laundry facilities. 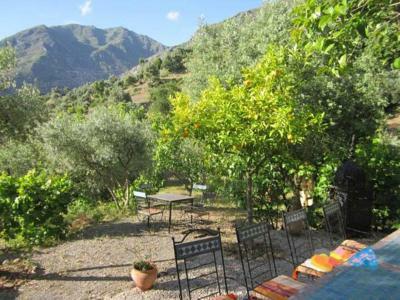 An array of activities can be enjoyed on site or in the surroundings, including cycling and hiking. The property offers free parking. Tangier Ibn Battouta Airport is 54 mi away. 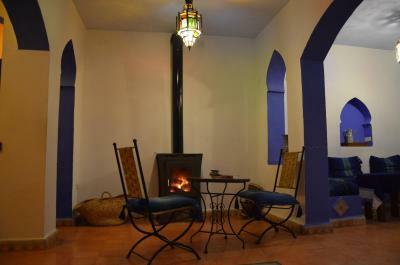 When would you like to stay at Auberge Casa Linda? 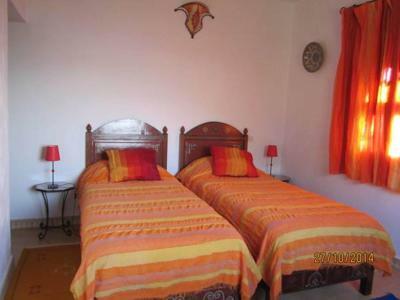 This twin/double room has a balcony, tile/marble floor and sofa. 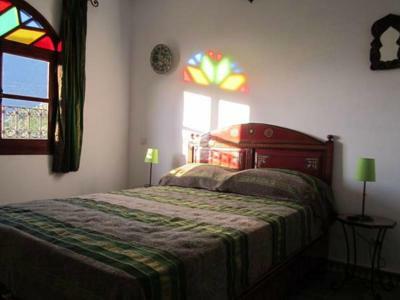 This twin room features a tile/marble floor, private entrance and satellite TV. 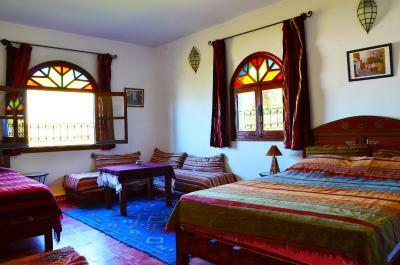 This triple room has a balcony, view and private entrance. 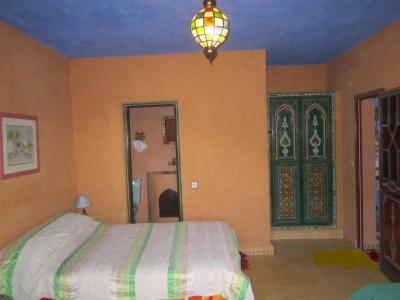 Featuring a balcony, this apartment includes 2 bedrooms, 2 bathrooms, and a living room with a fully equipped kitchen. 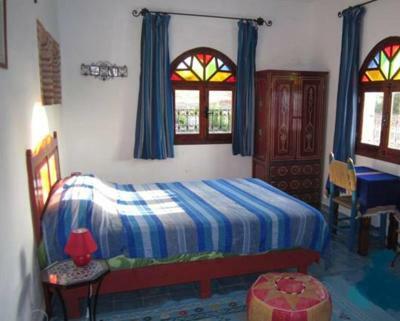 This twin room features a view, tile/marble floor and private entrance. 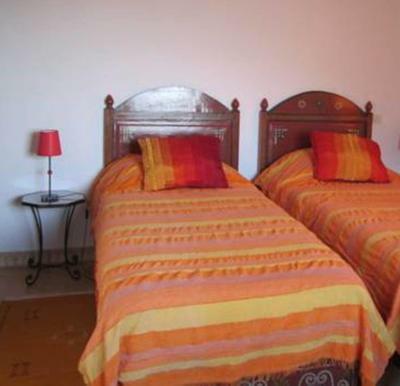 This twin/double room has a cable TV, private entrance and tile/marble floor. This apartment has a seating area, dining area and tile/marble floor. 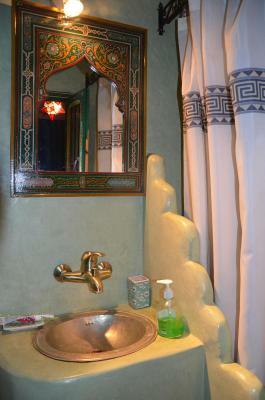 House Rules Auberge Casa Linda takes special requests – add in the next step! The lounge area and our room were cold, however the room had an AC which we used to heat. The staff didn't talk much (maybe because of language barrier). 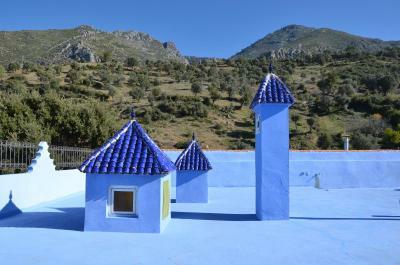 The hotel is located on a hill which offers a beautiful view on the blue city. It's also very quiet and relaxing. Our beds were very comfortable. The breakfast was good including fresh goat cheese, eggs and yoghurt. You could get it until 12 o'clock. One time we brought sweets from the town and got great mint tea after asking the hotel staff. There were cute cats and goats that liked to get pet. Beautiful hotel and beautiful location. Absolutely recommend. You must drive your car to there. If walking to the town about 30 minutes. From hotel room you can see the beautiful city. The hotel is on a hill, so that there is very quiet. There was a horrible smell in the bathroom. We asked the host to have a look and the only thing he did was putting toiletpaper in the shower. Offcourse this didn't help. We didn't enjoy our stay because of this. The host wasn't very helpfull in general. We booked the hotel because of the pool. Unfortunately when we got there, the pool was not in use. I heard the host mentioning to a couple that it was shown somewhere and that we could have known before, but I couldn’t find anything written down on the website. Apart from this, the hotel is amazing. Room was great! We had one with a view over Chefcaouen! The garden is really relaxing. 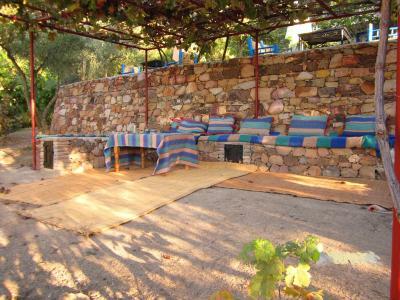 It is not really in a walking distance from the town,as it lies on a steep hill. 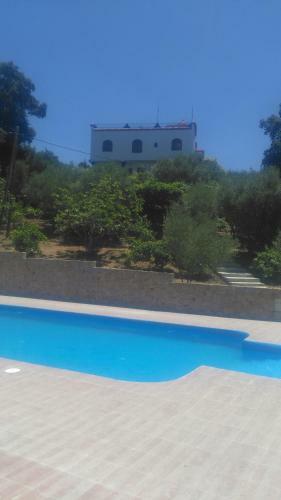 Swimming pool was closed and it was not announced on booking-it was the main reason for me to choose this place. Cold water only in the shower. 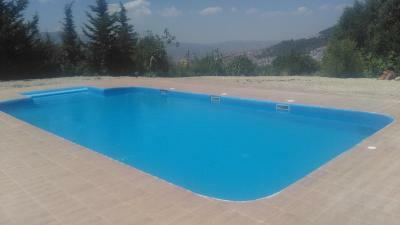 Very nice pool, very cold tho but nice, nice view, very relaxing, beautiful. 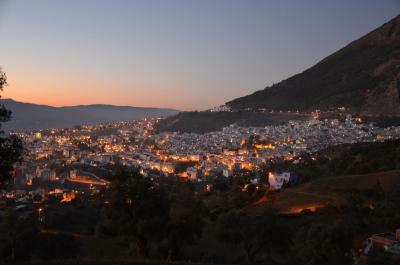 The walk in to the medina took around 20-30 minutes, down a track which requires a torch for return after dusk. 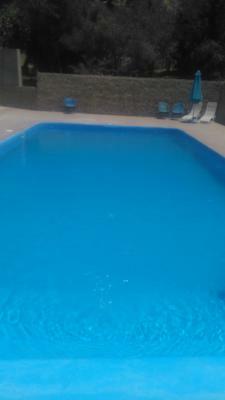 The pool is no longer in operation. Room wasn't as we expected but the manager was responsive when I raised this. Lovely views from here, and it's very peaceful. 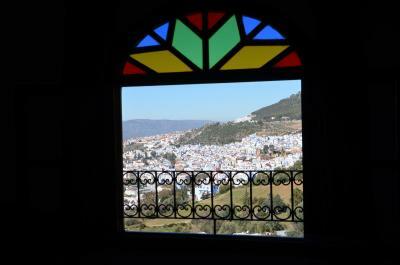 Really enjoyed the traditional breakfast, and love the outdoor seating with views across Chefchaouen. Meanwhile, this place is far from the bus station so that it's not easy to walk to the centre of the town (about 15min). Taking a taxi is fine. This hotel has a very fantastic view of the blue-white city. Also, the breakfast is good and there are lots of adorable cats in the yard. The room is clean and cozy.